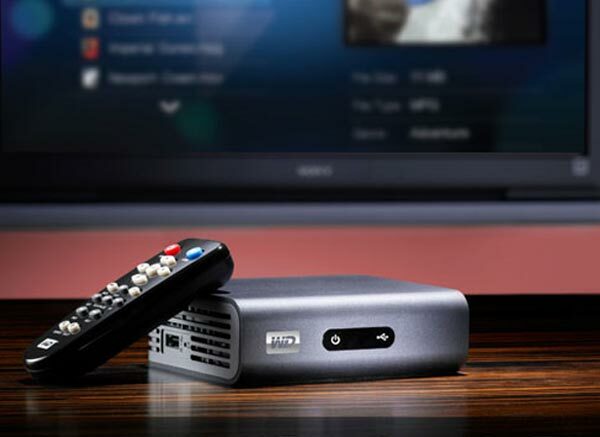 Western Digital has announced a new network media player, that can deliver Full HD video in 1080P to your HDTV the WD TV Live HD . The WD TV Live HD can be connected to your home network via the built in Ethernet port or via WiFi, it can then stream video and music files direct from your PC or Mac to your HDTV. It also comes with two USB ports so you can play movies or music direct from any USB drive or external USB hard drive, and you can even transfer video direct to the USB drives from your PC or Mac using the on screen menu. The WD TV Live HD comes with a HDMI 1.3 port as well as component and composite video out and SPDIF out for surround sound. The Western Digital WD TV Live HD Media Player is available now for $149.99.